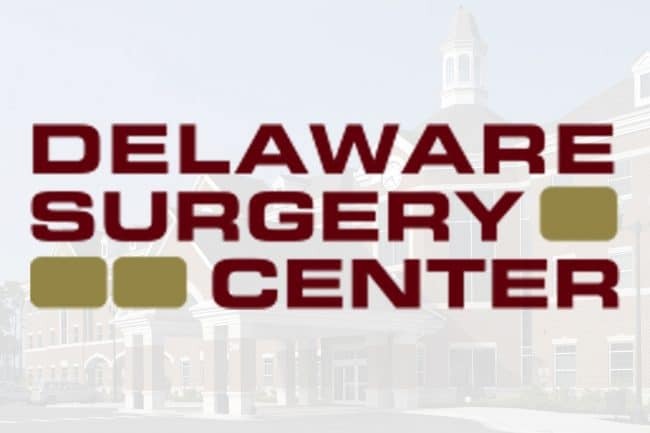 The Delaware Surgery Center is a State of the Art Ambulatory Surgery Center, which has served Dover and its surrounding communities since 2002. Our mission and commitment is to provide our patients, their families and our physicians with safe, efficient, high quality surgical care in a friendly and caring environment. We accomplish this goal through the knowledge and expertise of our professional and surgical support staff. Surgery can be stressful to patients and their families. Our caring staff understands those feelings and are always available to answer your questions and to help ease your anxiety. We will do everything we can to make your visit with us comfortable, pleasant and informative for you and your family. Our facility is licensed and regulated by the State of Delaware Department of Health and certified by the Centers for Medicare and Medicaid (CMS). In addition, we are accredited by Accreditation Association for Ambulatory Health Care (AAAHC) and The Better Business Bureau. Copyright © Eden Hill Medical Center | All Rights Reserved.